Order on-line and get 20% off your order. Add an additional 5% off if you pick up the order. Char-grilled ground lamb, served over char-grilled smoked eggplant puree with light tomato sauce. 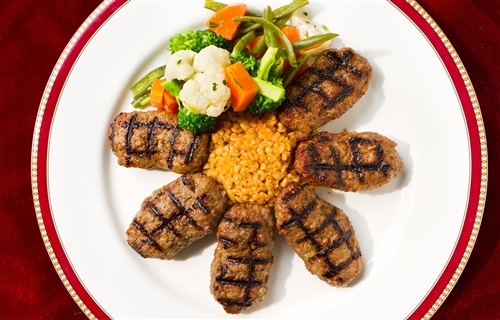 Char- grilled ground lamb seasoned with Turkish spices, served with rice and pan-fried potatoes. 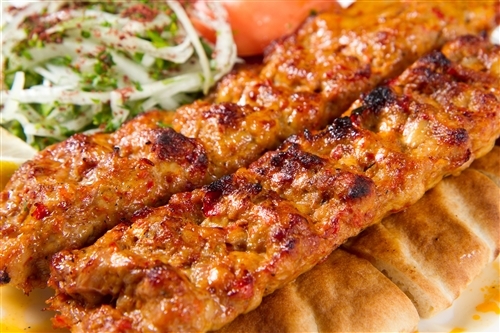 Char grilled skewered cuts of baby lamb, served with rice and pan-fried potatoes. 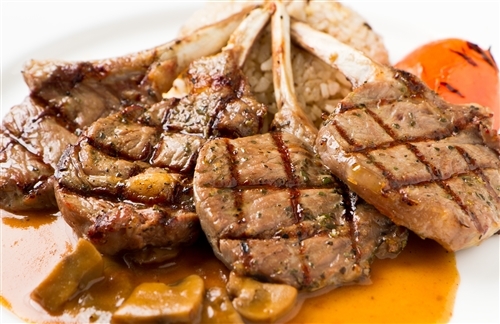 Char grilled baby lamb chops, served with traditional rice. 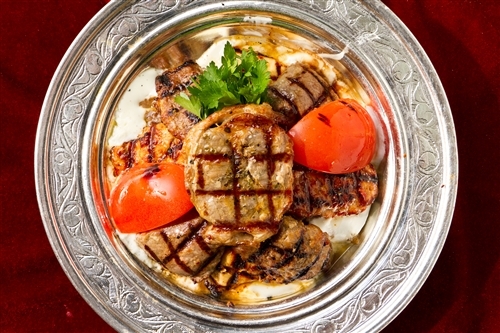 Combination of char grilled lamb & chicken, served with garlic yogurt and tomato sauces over pita bread. 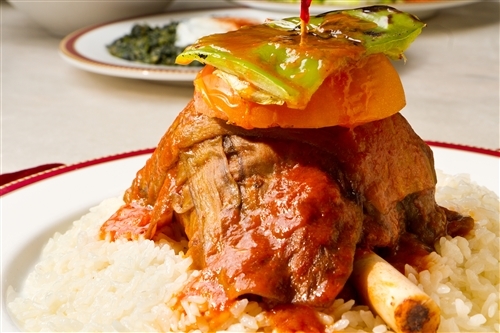 Baked lamb shank, wrapped in sliced eggplant, served with rice. 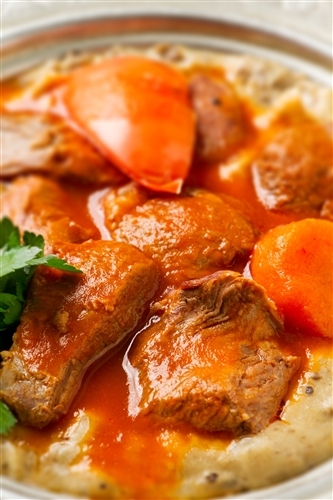 Puréed eggplant topped with baked cuts of lamb, marinated in tomato sauce. 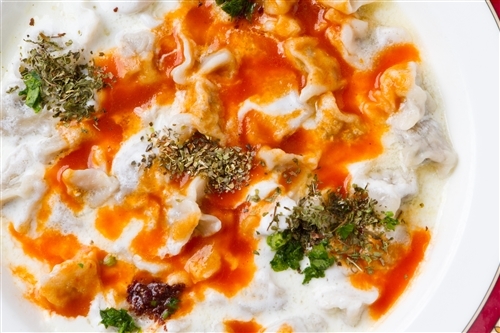 Poached beef dumplings, served with garlic yogurt sauce. Cabbage stuffed with ground beef, rice and herbs. 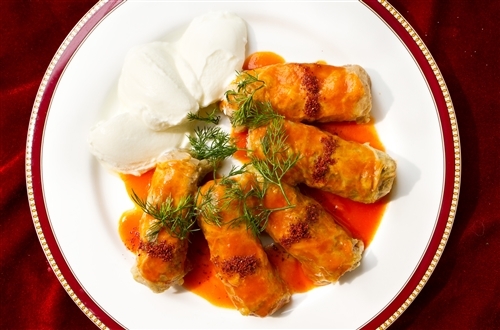 Cooked with olive oil and tomato sauce, served with yogurt. 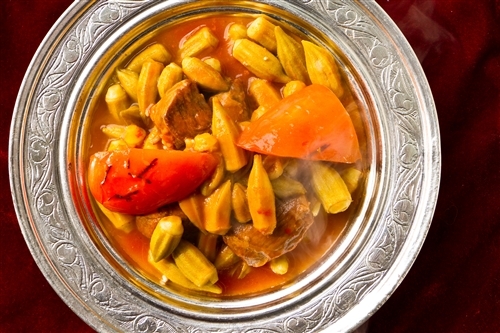 Okra and chunks of lamb. Baked with fresh tomatoes. Served with rice. Combination of char-grilled lamb & chicken, served w/ white rice. 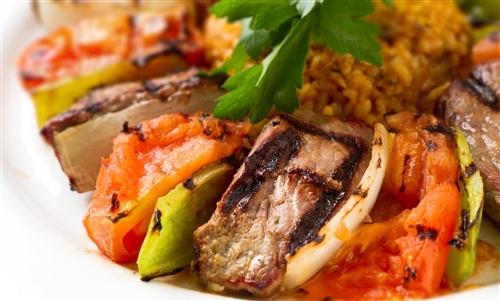 Char grilled ground chicken, seasoned with spicy red peppers and served over pita bread. 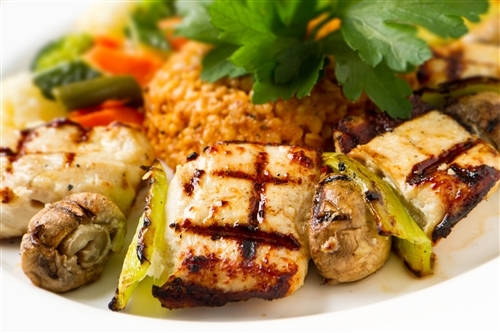 Char grilled skewered cuts of chicken breast and mushrooms, served with rice and pan-fried potatoes. 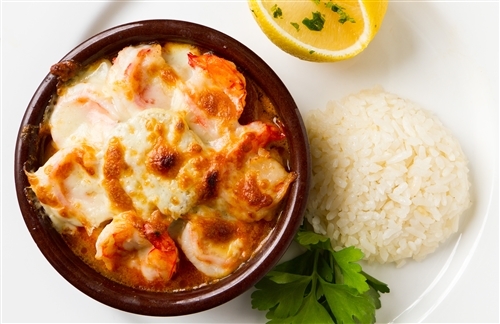 Baked shrimp, mushroom and tomato casserole, topped with kasseri cheese, served with rice. Whole brook trout char grilled or pan-fried served with romaine lettuce, lemon and oil dressing. 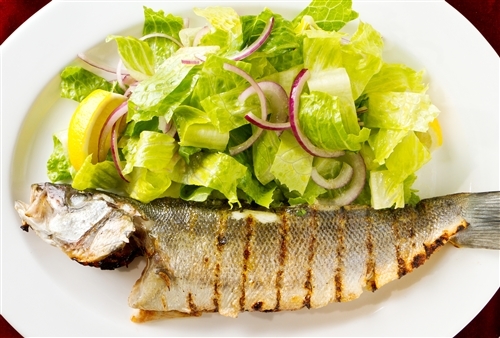 Whole striped bass, char grilled and served with romaine lettuce, a lemon and oil dressing. 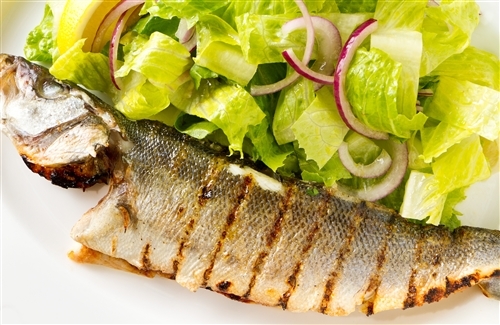 Mediterranean whole sea bass, char-grilled and served with romaine lettuce,a lemon and oil dressing. St peters fish filet tilapia. 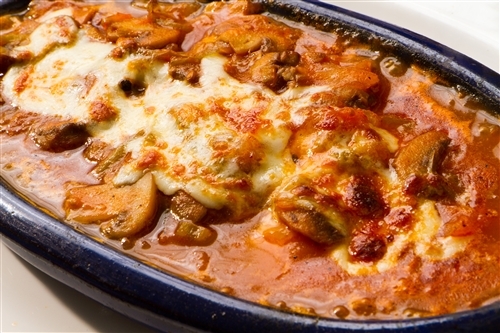 Casserole baked with butter, white wine, peppers, mushrooms, tomatoes and potatoes. Topped with tomato sauce and mozzarella cheese, served with rice.
" St Peter's Fish" Filet Tilapia chargrilled or pan-fried, serve with rice. Grilled zucchini, eggplant, mushroom, tomatoes & green peppers, served over smoked eggplant puree. Okra, baked with fresh tomatoes. Served with bulgur wheat pilaf. Menu items and prices are subject to change without notice. Food presentation may vary. We deliver to address between 5th to 1st Avenue and 14th to 38th Street. Outside Our Delivery Area? 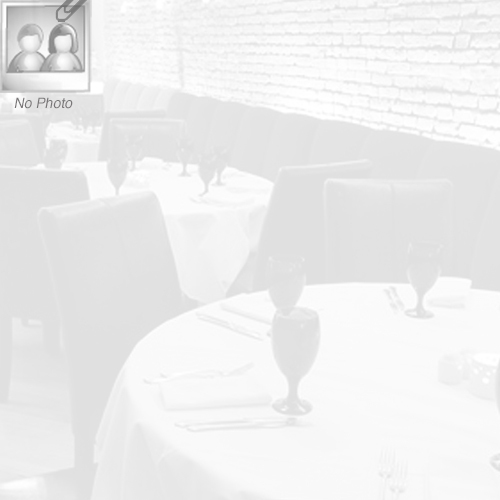 : Please call us at (212) 679-6633 so we can see what we can do to deliver our delicious food to your location. Please note there is a $100.00 order minimum and $20.00 delivery fee for deliveries outside our delivery area. Sorry for inconvenience. We are closed today. Thank you.